All joking aside, the lighthearted introduction was meant to serve a purpose—underage and binge drinking are viewed as rights of passage in society, somewhat of a joke we’re all in on, rather than posing any serious threats to our children’s health. But that’s just not the case. Don’t bury your head in the sand and learn some of the real dangers of binge drinking and how to talk to your kids about forming healthy habits surrounding alcohol consumption. I know—what a buzzkill, right? Well, let’s jump into it. 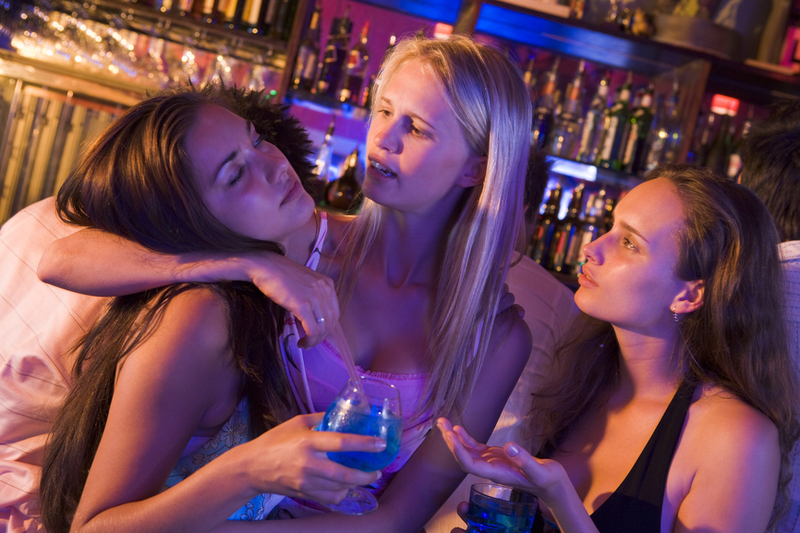 According to a recent study from the National Institute on Alcohol Abuse and Alcoholism (NIAAA), nearly half of all college students routinely binge drink—and during spring break it seems to be pushed to the limit. Males reportedly averaged 18 drinks a day while females put back 10 drinks during a typical day at Daytona Beach. The NIAA defines binge drinking for men as more than four drinks, three for women, within just under two hours. The discrepancy between sexes is because alcohol doesn’t break down as quickly in women as it does men and women are generally smaller than men, so it takes less alcohol to produce an elevated blood alcohol level. It’s also important to note that mixed drinks may contain more than one serving of alcohol and take even longer to metabolize. Nearly 2,000 US college students die each year from alcohol-related, unintentional injuries. A large portion of those deaths are attributed to alcohol poisoning—but what is it exactly? Alcohol depresses nerves that control involuntary actions in your body, such as your gag reflex, breathing, heart rate, and body temperature. Drink too much too quickly and these vital functions fail and can potentially lead to coma and death. If that wasn’t enough to worry about, drinking in excess can cause vomiting and poses a threat of choking on vomit, which could cause death by asphyxiation in a binge drinker who has passed out. If you suspect that someone has alcohol poisoning seek immediate medical care. Not all symptoms need to be present before you seek help. Help a person who is vomiting by sitting him or her up. If the person must lie down ensure their head is turned to the side to prevent choking.